Draft: 2007, Seattle Mariners, 13th rd. Shawn Andrew Kelley…has two sons, Parker and Bryson…graduated from Austin Peay State University in Dec. 2006 with a bachelor's degree in political science and took graduate courses in the spring of 2007. Was 2-0, 2.94 (16 ER/49.0 IP) in 54 games with WAS and OAK…ranked 6th among ML relievers (minimum 45.0 innings) with a .237 opponents on-base percentage and was 7th with a 0.898 WHIP…opposing hitters batted just .122 (5-41) with runners in scoring position, T6th lowest in the majors (min. 40 at-bats)…overall opponents batted career low .188, .171 (20-117) vs. RHB and .220 (13-59) vs. LHB…had a 4.34 ERA in 18 games in Nationals Park and a 4.15 ERA in 10 games at the Oakland Coliseum… compiled a 1.25 ERA and .135 opponents batting average in 26 games in all other ballparks…of 33 total hits allowed, 20 went for extra bases (13 2B, 7 HR). Went 1-0 with a 3.34 ERA (12 ER/32.1 IP) in 35 outings with the Nationals...permitted runs 9 times and allowed one of 6 inherited runners to score…earned lone win on 7/5 vs. MIA and had only blown save opportunity, 6/3 at ATL…had 4.50 ERA (3 ER/6.0 IP) in 8 games when was placed on the 10-day DL with ulnar nerve irritation in his right arm on 4/24…made one rehab start with Potomac (High-A) on 5/6 before being activated on 5/7…had a 3.97 ERA (5 ER/11.1 IP) over next 13 games…compiled a 0.64 ERA (1 ER/14.0 IP) in next 13 appearances to lower ERA from 4.15 to 2.59…that included an 11.0 inning scoreless streak over 10 games, 6/23-7/13…permitted season most 3 runs on a career-high tying 4 hits in 1.0 inning in a 25-4 win over NYM on 7/31…was designated for assignment the next day and traded to OAK on 8/5…worked season high 2.0 innings twice, 6/20 vs. BAL and 7/7 vs. MIA…fanned 2018-most 4 batters in that game vs. Orioles. a scoreless 5th inning in OAK's 7-2 loss at NYY in the A.L. Wild Card game on 10/3…has not allowed a run in 3 career postseason games (2.2 IP). Had his 2017 season interrupted three times by disabled list stints, including one that ended his season on Sept. 30...Missed 62 games on the disabled list...His 26.0 innings this season were the fewest he has thrown since 2011...Earned his first of four saves this season on April 18 at ATL (0.2 IP)...Picked up saves in three straight appearances (4/18, 4/20, 4/21)...Was one of 11 different Nationals relievers to secure at least one save for Washington this season, most in the Major Leagues. In his first season in Washington, Kelley ranked among National League relievers in strikeout-to-walk ratio (2nd, 7.27) and strikeouts per nine innings (4th, 12.4)...The 7.27 strikeout-to-walk ratio was the highest mark for a reliever in Nationals history (2005-pres. )...He posted career marks in appearances (67), innings pitched (58.0), strikeouts (80), strikeouts per nine innings (12.4), strikeout-to-walk ratio (7.27), saves (7) and holds (14)... Was 7-for-9 in save opportunities...Walked just 11 batters in 58.0 IP (down from 15 in 51.1 IP in 2016)...Held opposing batters to a .155 average in 34 games at Nationals Park...Did not allow an earned run across his first 19 appearances of the season...Went 1-0 with four holds, 21 strikeouts, two walks and a .185 average from April 4 to May 20...Posted a 0.00 ERA (0 ER/10.2 IP) across his final 13 outings, from Aug. 31 to the end of the season...Struck out 11, walked two, allowed one hit during that stretch...Appeared in his first career Postseason, pitching in Game 3 and Game 5 of the 2016 NLDS...Struck out three in 1.2 innings of work to earn a hold in Washington's 8-3 in in Game 3. The 2015 season marked one of the best seasons of his career...Went 2-2 with a 2.45 ERA and 63 strikeouts against just 15 walks...His 2.45 ERA and 1.091 walks and hits per innings pitched marks were his best since an injury-shortened 2011 season...His 4.20 strikeout-to-walk ratio was his best since 2009 (4.56), his rookie season, and ranked 11th among National League relievers in 2015...Over his final 45 appearances, he went 2-0 with a 1.05 ERA (5 ER/42.2 IP) and six holds, along with 54 strikeouts against just 10 walks and limited the opposition to a .184 batting average... His 1.05 ERA over that stretch was the best mark of any National League pitcher with at least 30.0 innings pitched...From July 30 through the end of the season, he allowed just one earned run over his final 21 appearances (15.1 IP), striking out 24 batters, allowing nine hits and walking eight... Was particularly tough on right-handed batters, surrendering just two extra-base hits while allowing them to post just a .218 (22-for-101) average against on the season...From May 30 through the end of the year, Kelley did not allow an extra-base hit to a right-handed batter, a stretch that spanned the final 98 right-handed hitters he faced...Missed 13 games while on the 15-day disabled list from April 24th to May 8 with a left calf strain…Also missed 17 games in September after leaving the game on Sept. 1st against the Texas Rangers in the seventh inning with a right forearm strain. Made a career-high 59 relief appearances with the Yankees, going 3-6 with a 4.53 ERA (26 ER, 51.2 IP)...Posted a strikeout per 9.0 IP ratio of 11.67 (67 SO/51.2 IP)...Earned his first career save on 4/7 vs. BAL with a perfect ninth inning...Ejected for the first time in his career by HP umpire Laz Diaz on 5/5 at LAA...Placed on the 15-day DL from 5/13 (retro to 5/7) through 6/10 with a strained lumbar spine, missing 31 games...Allowed only one earned run in a stretch of 13 outings from 7/5- 8/5, going 1-1 with a 0.69 ERA (1 ER, 13.0 IP) with 20 strikeouts against two walks and a .111 opponents average over that span. 2009-10 with Seattle). Posted an 8.71 ERA (10.1IP, 10ER) over his first nine relief appearances of the year (4/1-5/4)… over his next 27 outings (5/5-7/21), recorded a 1.37 ERA (26.1IP, 4ER). Made his Yankees debut in 4/1 loss vs. Boston, tossing a perfect eighth inning (1.0IP, 1K). Earned his first win as a Yankee on 4/20 at Toronto, retiring both batters faced in the 10th inning (0.2IP). Struck out 18 of his 28 batters faced over a sixappearance stretch from 5/5-20 (8.0IP). Struck out a career-high six batters in 5/10 win at Kansas City, tossing 2.1 perfect innings… became the first Yankees reliever to fan at least six batters without allowing a baserunner since Ron Davis on 5/4/81 at Angel Stadium (struck out a franchiserecord eight straight batters in 3.0IP)… according to Elias, became the first Yankees pitcher to strike out his first five batters faced in a game as a reliever since Goose Gossage, who struck out each of his five batters faced on 5/14/82 at Oakland. Suffered his first loss of the season on 7/30 at Los Angeles-NL, allowing 2H and 1ER in 0.2IP. Threw a career-high 49 pitches in 8/5 loss at Chicago-AL, allowing 1ER in 2.0IP (2H, 3BB, 1K, 1WP). On 9/1 vs. Baltimore, entered the game with two on and allowed an RBI single and a three-run HR to his only batters faced to suffer his second loss (2H, 2ER, 1HR)… missed the next six team games with right triceps inflammation (9/2-7). In eight spring training relief appearances, allowed 5ER in 8.0IP (5.63 ERA)… was acquired by the Yankees from Seattle on 2/13 in exchange for OF Abraham Almonte. Kelley went 2-4 with a 3.25 ERA in 47 appearances for the Mariners. Did not allow a run in 10 appearances(12.2 IP) coming back from hissecond career elbow surgery...hadpartial Tommy John surgery Sept. 1,2010...Allowed only 10 base runners (7 H,3 BB) in 10 appearances...recorded10 strikeouts, including all 3 battershe faced in final outing Sept. 28 vs.Oakland...Spent first 4 months of the seasonon the 60-day DL recovering fromright elbow surgery...Made season debut Sept. 2 atOakland, his first MLB appearance since June 15, 2010...Reinstated from 60-day disabled list on Aug. 9 and optioned to AAA Tacoma...Went 1-0 with 1.84 ERA (3 ER, 14.2 IP) in 12 appearances with AAA Tacoma, including 5rehab appearances...Had rehab assignments with AA Jackson (May 16-27) and AAA Tacoma (July 27-Aug. 9)...Examined by Dr. James Andrews on May 26 and received a PRP (platelet rich plasma)injection in his right elbow. Appeared in 22 games before beingplaced on the 15-day disabled listwith right elbow inflammation onJune 25 (retro to 6/16). ... Had season-ending partial TommyJohn surgery on Sept. 1 in LosAngeles (Dr. Lewis Yocum). ... At time of injury ranked 3rd on theteam in relief appearances. ... Was 3-1, 3.96 (11 ER, 25.0 IP) ... held opponents scoreless in 15 of 22appearances. ... Stranded 9 of 14 inherited runners(64%) ... retired 13 of 22 first battersfaced (59%). ... Was 3-0, 2.14 (5 ER, 21.0 IP) through first 17 appearances ... allowed 9 hits and 6 runs in4.0 innings over final 5 appearances (13.50 ERA). ... Tied career-high with 3 strikeouts; May 22 vs. San Diego & May 30 at Los Angeles (AL)...matched career-high with 2.1 IP in game vs. Angels (5/30). ... Allowed career-high 4 walks and 1 HBP in 0.1 IP June 5 vs. Los Angeles (AL). ... Optioned to AAA Tacoma on April 30 (Lee activated from DL) ... went 0-0-1, 6.75 (2 ER, 2.2IP) with the Rainiers...recalled on May 5 (Lowe DL). Made team out of spring training asa non-roster invitee...made only 61minor league appearances beforeMLB debut...5 wins were T5th all-time amongMariners rookie relievers; most winssince Eric O'Flaherty won 7 gamesin 2007...his 41 appearances rankedT10th all-time among Marinersrookie relievers...Made Major League debut April 10 atOakland with scoreless inning, striking out first batter faced (M. Ellis)...Recorded first career loss, April 29 at CWS; allowed 2 runs on 3 hits in 1.1 innings,including back-to-back home runs to Quentin & Dye...first runs allowed of the season,snapping 7.2 scoreless streak (6 G) to start career (April 10-25)...Recorded 1st career win May 1 vs. Oakland, striking out 2 in 1.2 scoreless innings...First half interrupted by stint on 15-day DL May 6-July 2 with a strained left oblique...collapsed on mound with injury May 5...Made 2 rehab appearances with AZL Mariners (June 27 and 29), striking out 3 in 2.0 nohitinnings...also tossed 1-2-3 inning July 1 with Tacoma...Allowed 7 earned runs in final two appearances prior to the All-Star break (7 ER, 1.1 IP)to jump ERA from 1.46 to 5.93...Had season-high 4-game win streak, May 1-Aug. 7, including wins in back-to-backoutings on Aug. 4 at KC and Aug. 7 vs. TB...Tossed season-high 9.2 scoreless innings, Aug. 9-25...allowed only 5 hits, while walking1 and striking out 11...Limited opponents to a .257 (45x175) average, including a .209 (18x86) clip vs. lefthandedbatters. Split season between Wisconsin, High Desert and West Tennessee...led all Marinersfarmhands with 15 saves...began season with Wisconsin, holding opponents scorelessin 6 of 8 games...promoted to High Desert on May 7...tossed 12.0 scoreless inningswith High Desert, May 7-June 6...promoted to West Tennessee on June 7...tossed 14.0consecutive scoreless innings, June 9-July 3, extending his season scoreless streak to aseason-high 26.0 innings between High Desert and West Tenn...struck out a season-high5 batters in 1.2 innings on Aug. 16 vs. Carolina (1.2,3,2,2,1,5)...pitched for Lara in theVenezuelan Winter League, going 2-1 with a 3.68 ERA (6 ER, 14.2 IP), and was a perfect9-for-9 in save opportunities. Began pro career with Everett, appearing in 3 games in relief...earned first career win,tossing 1.0 shutout inning, June 23 vs. Yakima...promoted to Wisconsin on June 24...earned win in first appearance June 25 at Peoria...placed on the disabled list July 27 andwas out for the remainder of the season with a right elbow strain. 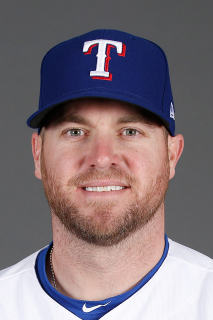 January 29, 2019 Texas Rangers signed free agent RHP Shawn Kelley. October 29, 2018 RHP Shawn Kelley elected free agency. August 7, 2018 Oakland Athletics activated RHP Shawn Kelley. August 5, 2018 Washington Nationals traded RHP Shawn Kelley and cash to Oakland Athletics for Future Considerations. August 1, 2018 Washington Nationals designated RHP Shawn Kelley for assignment. May 7, 2018 Washington Nationals activated RHP Shawn Kelley from the 10-day disabled list. May 6, 2018 Washington Nationals sent RHP Shawn Kelley on a rehab assignment to Potomac Nationals. April 24, 2018 Washington Nationals placed RHP Shawn Kelley on the 10-day disabled list. Ulnar nerve injury. November 3, 2017 Washington Nationals activated RHP Shawn Kelley from the 60-day disabled list. September 30, 2017 Washington Nationals placed RHP Shawn Kelley on the 60-day disabled list. Bone chips in right elbow. August 17, 2017 Washington Nationals activated RHP Shawn Kelley from the 10-day disabled list. July 29, 2017 Washington Nationals sent RHP Shawn Kelley on a rehab assignment to Syracuse Chiefs. June 18, 2017 Washington Nationals placed RHP Shawn Kelley on the 10-day disabled list retroactive to June 17, 2017. Right trapezius strain. May 12, 2017 Washington Nationals activated RHP Shawn Kelley from the 10-day disabled list. May 5, 2017 Washington Nationals placed RHP Shawn Kelley on the 10-day disabled list. Lower back strain. December 11, 2015 Washington Nationals signed free agent RHP Shawn Kelley. November 2, 2015 RHP Shawn Kelley elected free agency. May 8, 2015 San Diego Padres activated RHP Shawn Kelley from the 15-day disabled list. May 4, 2015 San Diego Padres sent RHP Shawn Kelley on a rehab assignment to El Paso Chihuahuas. May 1, 2015 San Diego Padres sent RHP Shawn Kelley on a rehab assignment to Lake Elsinore Storm. April 24, 2015 San Diego Padres placed RHP Shawn Kelley on the 15-day disabled list retroactive to April 23, 2015. Left calf strain. June 11, 2014 New York Yankees activated RHP Shawn Kelley from the 15-day disabled list. June 9, 2014 New York Yankees sent RHP Shawn Kelley on a rehab assignment to Scranton/Wilkes-Barre RailRiders. June 7, 2014 New York Yankees sent RHP Shawn Kelley on a rehab assignment to Trenton Thunder. February 7, 2013 Seattle Mariners designated Shawn Kelley for assignment. September 4, 2012 Seattle Mariners recalled RHP Shawn Kelley from Tacoma Rainiers. August 17, 2012 Seattle Mariners optioned Shawn Kelley to Tacoma Rainiers. May 5, 2012 Seattle Mariners recalled Shawn Kelley from Tacoma Rainiers. April 3, 2012 Seattle Mariners optioned Shawn Kelley to Tacoma Rainiers. September 1, 2011 Seattle Mariners recalled Shawn Kelley from Tacoma Rainiers. August 10, 2011 Seattle Mariners optioned Shawn Kelley to Tacoma Rainiers. August 10, 2011 Shawn Kelley roster status changed by Tacoma Rainiers. July 27, 2011 sent RHP Shawn Kelley on a rehab assignment to Tacoma Rainiers. May 16, 2011 sent RHP Shawn Kelley on a rehab assignment to Jackson Generals. March 2, 2011 Shawn Kelley roster status changed by Seattle Mariners. October 9, 2010 Seattle Mariners activated RHP Shawn Kelley from the 15-day disabled list. August 2, 2010 sent RHP Shawn Kelley on a rehab assignment to Tacoma Rainiers. June 25, 2010 Seattle Mariners placed RHP Shawn Kelley on the 15-day disabled list retroactive to June 16, 2010. Rght elbow inflammation. May 5, 2010 Seattle Mariners recalled RHP Shawn Kelley from Tacoma Rainiers. April 30, 2010 Seattle Mariners optioned Shawn Kelley to Tacoma Rainiers. July 3, 2009 Shawn Kelley roster status changed by Seattle Mariners. July 1, 2009 AZL Mariners sent RHP Shawn Kelley on a rehab assignment to Tacoma Rainiers. June 27, 2009 Shawn Kelley assigned to AZL Mariners from Seattle Mariners. May 6, 2009 Seattle Mariners placed RHP Shawn Kelley on the 15-day disabled list. Strained left oblique.